If you work in an auto shop, you’re going to need to weld. Sooner or later, like it or not, it will be a necessity. This is a process that is often misunderstood, which quite often yields sketchy results. Proper technique along with patience and practice is what makes the difference to lay down a clean, strong weld. It’s always nice to know someone who’s good at it, and when they happen to be a master welder, it’s even better. Lucky for me, I know someone who is both; I met with my good friend Pete Horn who shared his expert knowledge on the subject. The three most common types of welding are arc welding, (commonly called stick welding), MIG welding and TIG welding. Understanding the basic principles of each type of welding helps define which process is best for your job. Arc welding utilizes an electrode, which is a metal rod or “stick” with powdered flux around it. When you strike an arc, the extreme heat melts the work material and the welding rod. The melted rod then flows, adding additional material to the area, helping to fuse the materials together. The inside of the rod is basically metal “filler” and the flux on the outside of the rod is what burns and keeps oxygen away from the weld to prevent oxidizing. During the process, powder from the flux forms around the weld and when you’re done, you have to chip it off. The welding rods consist of different types of material on the inside and outside, which affect the characteristics of the weld. Arc welding works well on heavy materials and excels over other forms of welding with its ability to penetrate rusty materials, which is ever so useful for that inevitable old rusty trailer that someone wants you to fix. Familiarity with the rod materials will make you most effective with an arc welder, for example, a 6010 rod penetrates deeper with its burn-in capabilities and a 7018 rod is better for general use. MIG (metal inert gas) welding also adds metal filler that flows onto the melted work material. The filler material is wound on a spool inside the welder cabinet and then automatically fed through the tip of the “gun” when you pull the trigger. As you weld, you are constantly adding metal. The inert gas is an argon/CO2 mix for straight steel, but if you’re welding stainless, helium is added for a tri-mix. The gas comes out through the nozzle of the “gun” and blows down to shield the weld from oxygen. Another option with a MIG welder is using flux core wire. This wire is actually a very thin metal (like a piece of foil) that is wrapped around a powered flux, so the wire is on the outside and the flux (similar to what’s on the outside of a stick welding rod) is on the inside. When heated, the flux melts and creates the gas shield. This allows you to use a MIG welder without the gas. Flux core MIG welding, however has its pros and cons. It leaves flux powder like a stick weld, making it not as clean, but on the plus side it allows you to crank up the temperature and burn through rust and contaminants. It’s also shielded on the spot. If you are working outside and there is a breeze, the normal MIG shielding gas will be blown away and you can’t get a good weld. Flux core wire eliminates this problem. MIG welding is the most cost effective and forgiving and has the shortest learning curve of all the welding practices. It is your general workhorse for everything; it’s strong, affordable and fast, and you can make beautiful welds with a little practice. MIG works great for welding imperfect or dissimilar materials, making them perfect for exhaust work. For bodywork, they offer excellent control and make a clean weld, but you must use the gas. Do not use flux core wire. 1. Correct shielding gas flow rate is key. All you are trying to do is shield the weld from the surrounding oxygen. Too much pressure just sends you back to the welding shop to buy more gas. 2. Clean things off. This standard rule applies to all welding where possible. Clean both surfaces to bare metal and make sure you have a good ground. 3. When purchasing a MIG, be sure to get one with shielding gas capability. MIG welders with shielding gas capabilities offer cleaner welds than flux core, plus you can still run flux core wire if needed. 4. Work to get your balance right (heat and wire speed). A correct balance will give you good weld penetration with minimum distortion of the work piece. TIG (tungsten inert gas) welding uses a tungsten rod on the end of a “torch” and argon gas as a shield. The tungsten rod does not burn up, but creates an arc that allows everything to get so hot that it melts together. A TIG is designed to weld in this manner, by melting the two pieces of material together without having to add material. For example, if two pieces are precision machined or press fit, you can TIG them together without adding any material. If you want to add material to fill gaps or build the area, you can do so using filler rod. TIG filler is available in multiple sizes and materials. TIG welding has its advantages for certain materials and has become very popular with motorcycle and custom car building because it’s super clean and looks incredibly nice. This is clearly a type of welding to fully understand before jumping right into it. 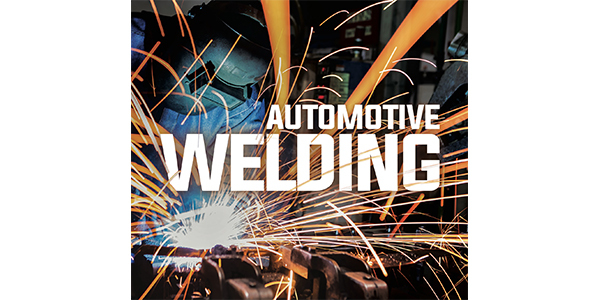 Each type of welding has its advantages and disadvantages, and as you become a more experienced welder, you may branch into all three types, but for general automotive and hobby welding, go for the MIG. If you’re looking to buy, there are a lot of MIG welders on the market. The good news is that economy units have improved considerably in quality over recent years, and the higher quality units have come down in cost. Ever-evolving MIG technology now offers automatic feedback control that constantly adjusts power output and wire speed to provide the best weld possible for your current conditions, making a beginning welder look experienced. For your automotive shop, a MIG welder is equipment that will pay for itself.